It’s a well known fact that a newborn princess will often be subject to a curse, especially if her royal parents neglect to invite an important magical relative to the christening. But never has there been a curse as charming (and hilarious) as that which befalls the Light Princess. Deprived of gravity, she can’t take anything, or anyone, seriously. Even worse, she’s apt to blow away on the first stiff breeze! Can even a handsome prince bring her down to Earth? 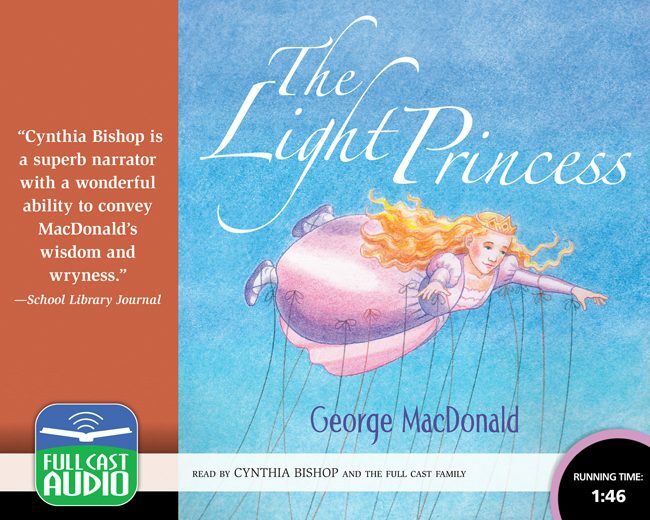 One of the most acclaimed literary fairy tales of all time, George MacDonald’s profound and witty story floats into bubbling new life in this lovingly crafted full cast reading.